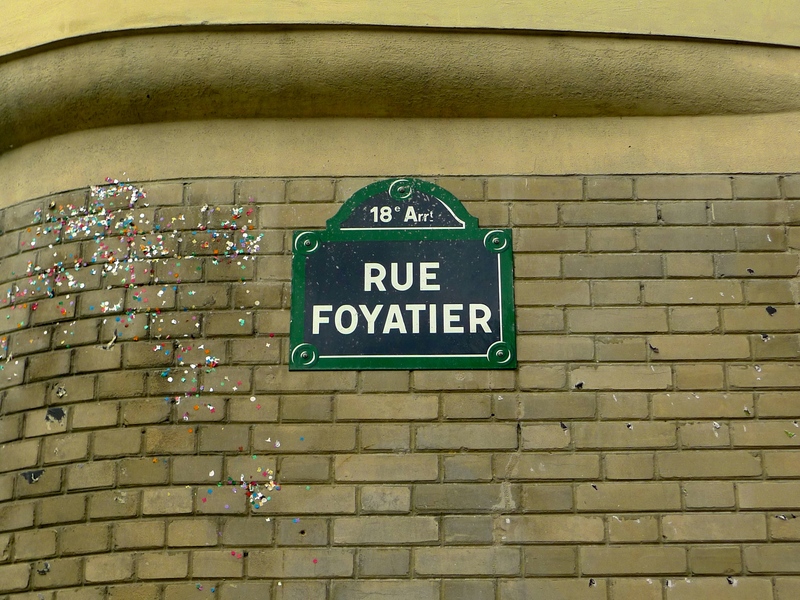 RUE FOYATIER IS not only one of the most visited streets in Paris it’s also one of the most unusual. It was opened in 1867 and named after the sculptor Denis Foyatier (1793–1863). 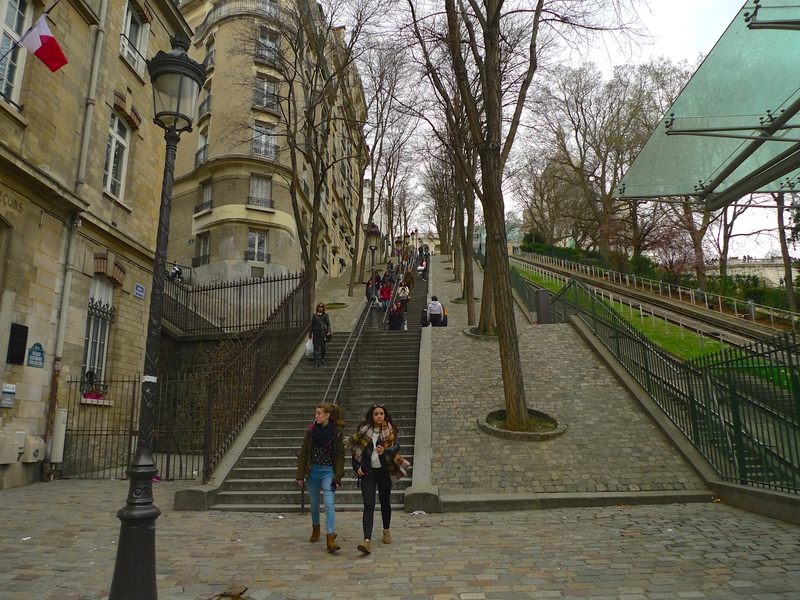 Rue Foyatier is one of the most visited streets in the city because it’s one of the main thoroughfares leading up la butte Montmartre, the large hill in the 18th arrondissement that gives its name to the surrounding district. It’s unusual because it’s not a conventional street; it is in fact an escalier, a giant staircase. 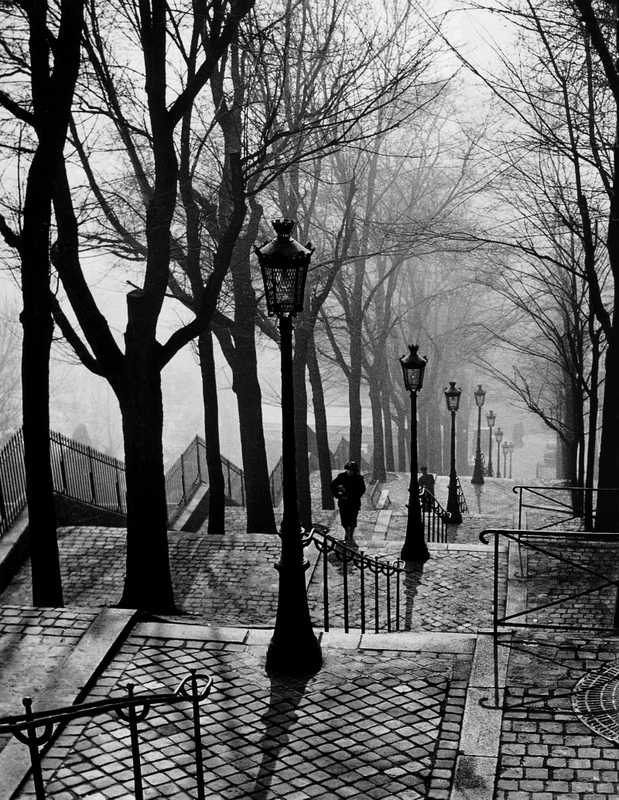 Images of rue Foyatier, and other staircases leading up la butte Montmartre, have become iconic images of Paris thanks to the work of Brassaï and other great photographers. 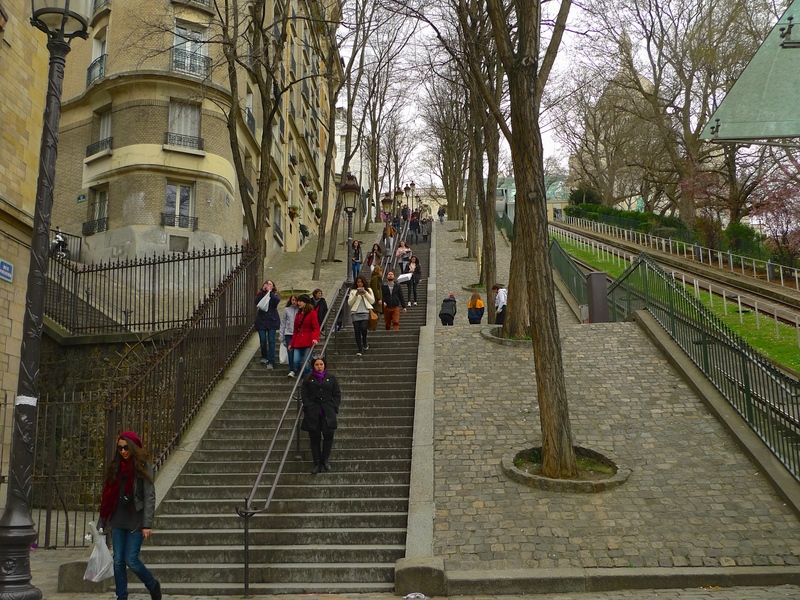 At 100 metres long and 12 metres wide, rue Foyatier begins at the foot of the butte Montmartre at rue André Barsacq and ends at the top of the hill at rue Saint-Éluthère in the shadow of the Basilique du Sacré-Cœur. Viewed from the bottom of the street the climb up rue Foyatier looks daunting. Those brave enough to tackle it will negotiate 222 stone steps and climb 36 metres in order to reach the top. From my own experience I can attest that the climb is in fact as daunting as it looks! But for those who can’t face the climb on foot there is an alternative, a funicular railway. The funicular was opened on 13th July 1900 and was entirely rebuilt in 1935 and again in 1991. 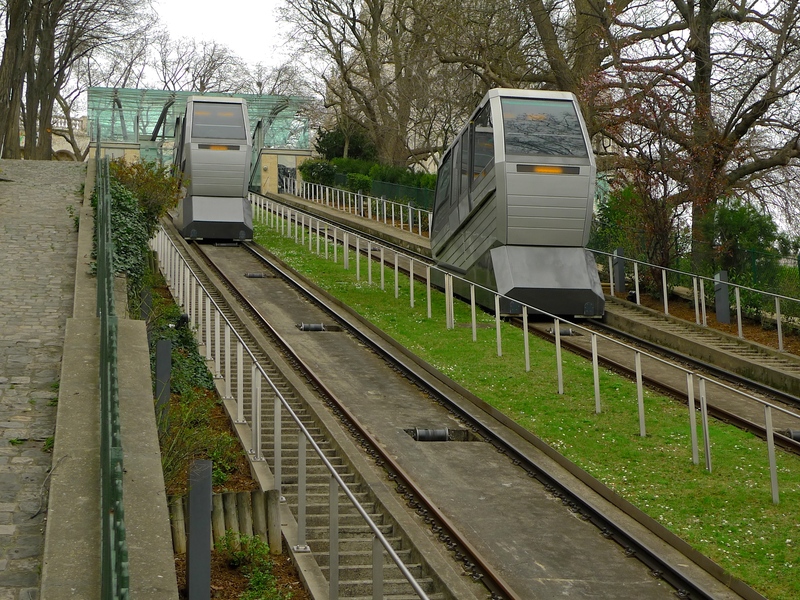 Some two million people a year use the funicular to ascend the butte Montmartre. The journey takes a little under two minutes and it costs the price of a Métro ticket. Much of the sound work I do in Paris is influenced to a large extent by the work of the great nineteenth and early twentieth century Parisian street photographers and so, with Brassaï’s iconic photograph in mind, I set off to capture the sound tapestry of the Escalier de la butte Montmartre. I recorded these sounds from more or less the same position that Brassaï took his picture. 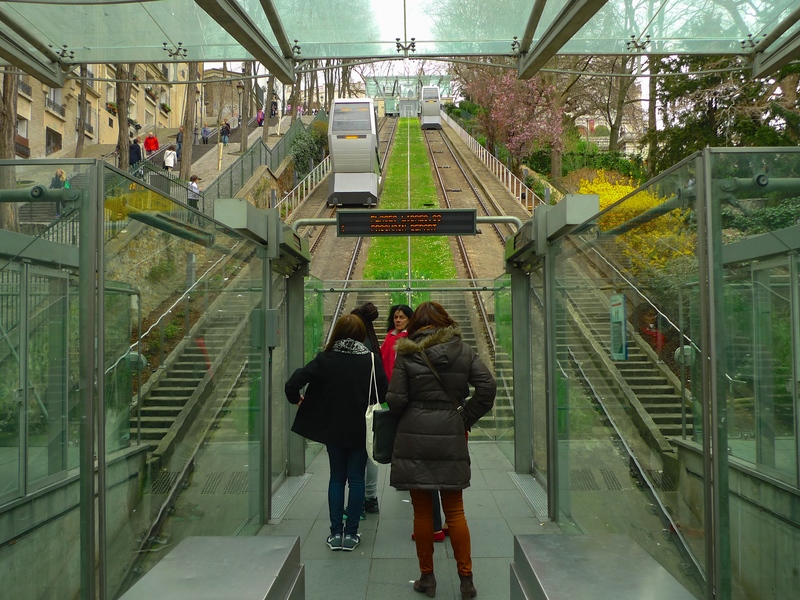 In fact, I was positioned to the right of the first lamppost with my microphones close to and facing across the steps towards the funicular and the 2.5 hectare terraced public garden that lies beyond. Brassaï would have captured his image in a fraction of second but, stretching to a little over twenty-minutes, my exposure time was much longer. My sound image includes breathless people struggling up the steps and people walking down seemingly much more relaxed, the sounds of the funicular cars being raised and lowered by their taught metal cables and the sounds of the crowds drifting across from the terraced garden at the foot of Sacré-Cœur. I have deliberately not included any images of what I could see from my recording position because to do so would miss the point. Just as Brassaï lets his picture capture the atmosphere and tell the story of this place, my recording is intended to do the same by simply letting the sounds speak for themselves and leaving you to create your own images from your imagination. 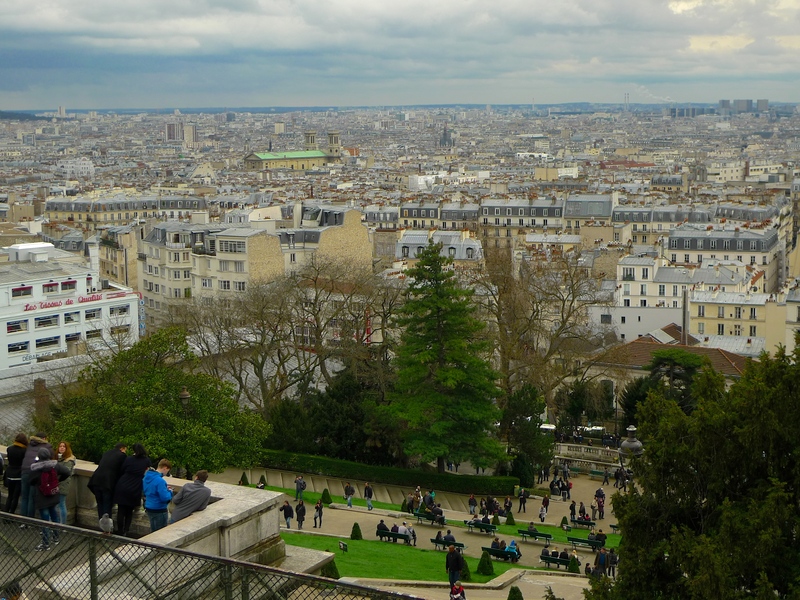 For those who do negotiate rue Foyatier, either on foot or on the funicular, the reward at the top is certainly worthwhile – a magnificent view of the Parisian skyline.